2 Pisces Alley, Old Jaffa. The Libyan Synagogue was most likely the first Jewish synagogue constructed in Jaffa in the Modern Era. The synagogue is first mentioned at the end of the first half of the 18th century, and it is said it was purchased or constructed by Rabbi Yaakov Ben David Zunana, for “The Committee of Israeli Officials and Lords in Istanbul” to serve as a Khan (public hostel), with a synagogue and mikveh (ritual bath) for Jewish pilgrims who arrived in Israel via Jaffa harbor, and were primarily headed to Jerusalem and the other holy cities. At the end of the 18th century, as a result of the aggravating conditions for the Jews in Jaffa and a diminution in the number of pilgrims, the Arabs appropriated the hostel from its Jewish owners and allowed pilgrims to use it only three days during the year. 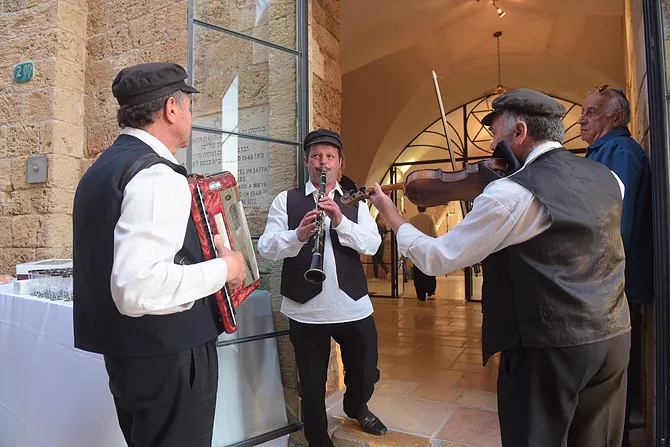 During the waves of conquest and destruction that visited Jaffa during the 18th and 19th century, the Jewish community in Jaffa disappeared together with the traces of the Jewish Khan. In 1948, the first Libyan immigrants arrived to settle in Old Jaffa, which was abandoned by its Arab residents. They set this place to be their synagogue after receiving the key to it from a Franciscan Priest of the nearby St. Peter Abbey, who told them that the place many years ago served as the home of a Jewish synagogue. 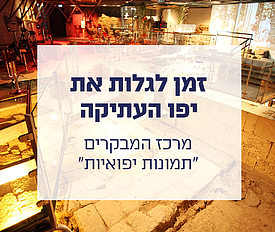 It was discovered that the building served for many years as a soap factory, but was known among the Arabs as “the Jewish House”. This is another, indirect piece of evidence that this building is Khan Zunana.